Just found this thread, quite awesome to see this DIY option. i am strongly considering to try it out. I have a question about tuning with this setup. Is it fully equivalent to Cobb FF kit? In other words, if I communicate with a tuner do I just say that my car has XYZ mods plus a Cobb Flex Fuel kit? or do I need to offer any specific details about this set up as an equivalent to Cobb's kit? What company or tuner do you use for tuning your cars with FF kit? Per other posts in this thread. This kit is just like the Cobb kit. 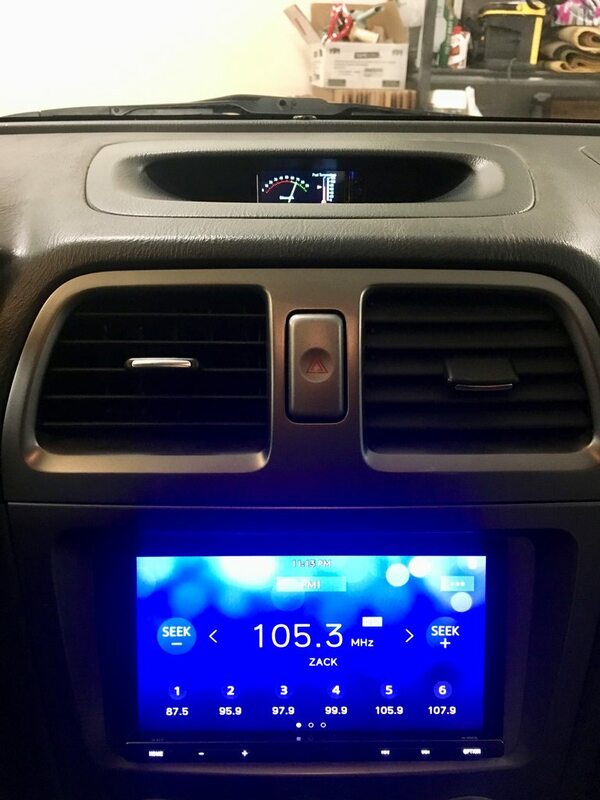 All it takes is for a tuner to enable the flex fuel kit option in the accessport for it be able to read the ethanol content. You will need a Flex Fuel protune in order to run both e85 and 91/93 octane. Cool, thanks for clarifying. I will start ordering parts. I am reasonably confident to be able to assemble this kit. However, I have rudimentary programming /coding skills. Perhaps, someone local can help me out with the program here. I paid $21.98 for 5x Male TGV, 5x Female TGV, 5x Rear O2 Male, 5x Rear O2 Female connectors (20 connectors, including pins and silicone seals). Poverty was meant as a joke but also for emphasis of the inferior quality of the parts used by Cobb of plastic compared to billet aluminum, and rubber/epdm with nylon/pet braiding vs PTFE (Teflon but cant call it that since it is a DuPont Trademark) with Stainless Steel braiding. I've been running it about 2 years with the lines but I haven't installed my flex fuel "computer" yet, adding a little bit of extra code for precautions as well as some code to do some other experiment that I will say if it proves successful. Here's an older picture, things are slightly different. I don't believe ground should matter but for me I ground the ethanol sensor through the O2 Sensor and everything else through the TGV. Where did you but your connectors? I did not go that route as I prefer to have an adjustable FPR for future proofing. I just tested mine with 3/8” cuz I had to find out whether it would work and it did. I’m getting a 0.80-0.82v reading on my left tgv and also two codes, most likely due to the signal going into the tgv. Gonna return car to normal and off to work. So were you able to use 3/8 connectors on both the sensor and the factory fuel line connection point and did you use 5/16 or 3/8 line? Pretty sure cobb is just using one of these linear pwm to 5v converters. The unit is only 20mm x24mm which seems to match their enclosure. I am looking into using one also since water was able to creep into my enclosure over winter and cause havoc on my nano. Did u ever get this to work? Wrong, actually. 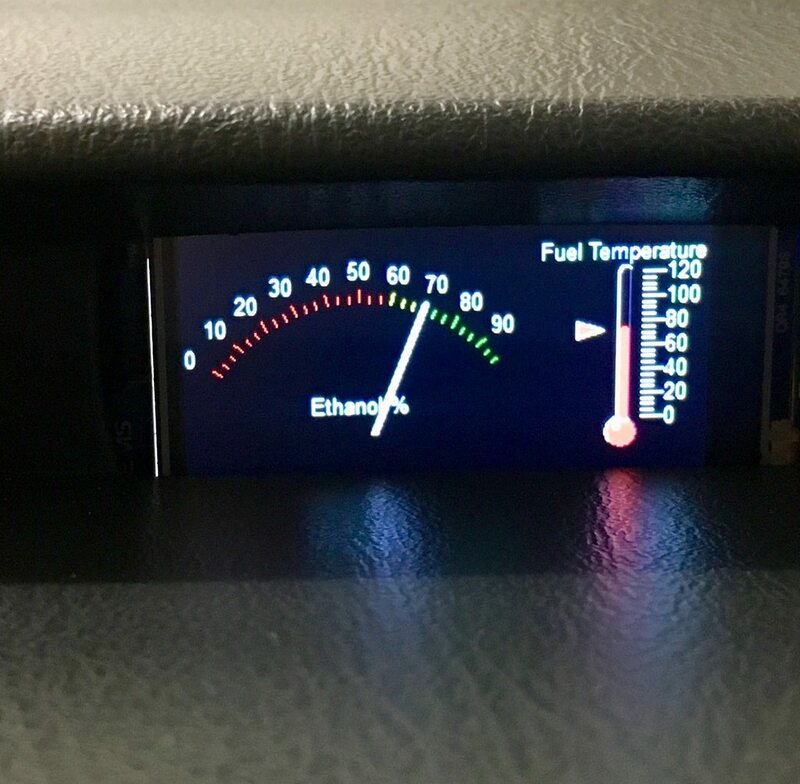 If your Engine Management allows for Flex Fuel tuning (like Cobb), then this is what you will need to tell it what the Ethanol content is. It does so by feeding a 0.5v-4.5v signal to an ECU input (in this case either the Left or Right TGV signal wire). 0.5v = 0% ethanol, and 4.5v = 100% ethanol. You can't just plug a Flex Fuel sensor straight to your Engine Management (with the exception of a couple standalone units), so this board converts the sensor's frequency into a voltage, which the ECU/Engine Management can read. Has anyone successfully done a version of this for a fuel pressure sensor. I found a cheap fuel pressure sensor here that's from a 15+ Ford Mustang EcoBoost. It looks like it uses 3 pin delphi so I assume its similar to the FF sensor in that its 5v ref. Ground and power but I dont have a data sheet on it. In order to use it I guess I need to find it's operating frequency and change the code but the physical wiring of the board should be similar. Am I on the right track? Its plug and play. I use an aem fuel pressure sensor, and wire it into your other TGV sensor. Nice. I'm going to give the ford one a shot as it's half the price of the AEM one. So looking at a few things with the fuel pressure sensor. All I've seen so far are powered by 5V so there is no need to run a 12v power wire to the sensor. You merely wire the 5v pinout and GND from the arduino to the sensor and run the Vout from the sensor to pin 8 while jumping the pull up resistor from the 5v pinout to the Vout wire. Is that correct? Had a shower thought here. For testing purposes we could calibrate our flex fuel kits using vodka as a ethanol control substance. Cap one end fill with vodka which is typically 40% ethanol/60% water (may vary depending on what the bottle says) and take a reading. This could help ensure accuracy by eliminating the range of ethanol percentages in different fuels. I know it doesn't need to be perfect, but hey why not. You could just use an Ethanol test kit like this one. Compare the values that the sensor is showing to the values the test kit gives you. Yes. But that's one more thing you gotta buy. Then you're working with smelly chemicals. And with the vodka you get a drink while you're testing it. Here's my ECA setup. I'm Using a 4Duino touch screen in the factory clock location on my Saabaru. Did you program the screen directly? Or did you use an Arduino as the host and pass data to the screen? I'd love to see more details on how you did that! Got my flex fuel all set up. Tested out by using some cheap 40% alcohol per volume rum. Voltage at the tgv wire read 1.589V which doing the math is 39.75% alcohol so it seems pretty spot on. My pressure sensor though, I am not getting a reading from. I had assumed that fbi meant that I can just replace the flex fuel sensor with the pressure sensor. I'm getting minimal readings in the millivolt range with it. It may be that my sensor is different. Mine is labeled 5V(Vin), GND, and Vout. Perhaps the output is not a frequency and is a straight voltage. I'll have to do some testing tonight to see. Looking at AEM's offering it looks like their pressure sensors run off 5V as well. So they should be similar. I have mine wired the same as the flexfuel sensor except that my sensor power wire is off the 5V pin. I still have the 4.7k Ohm resistor from 5V to the Vcc wire going to pin 8 and pin 11 going to the TGV with a 3.3k Ohm resistor.